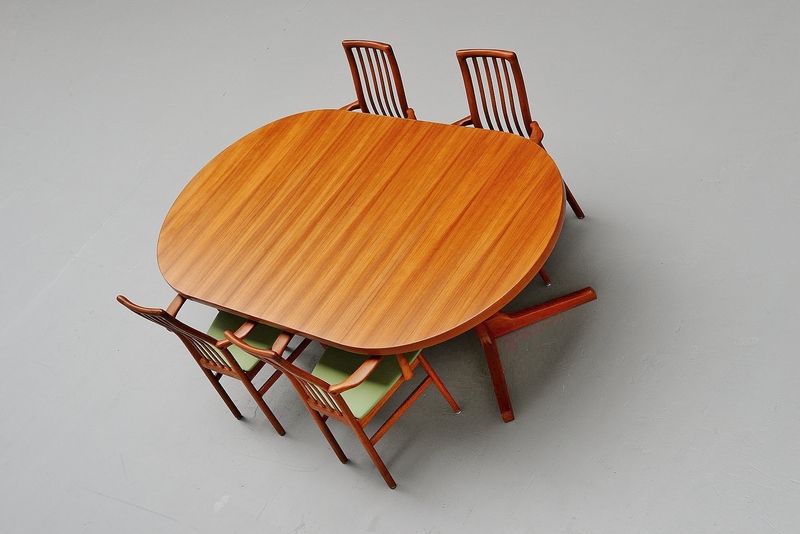 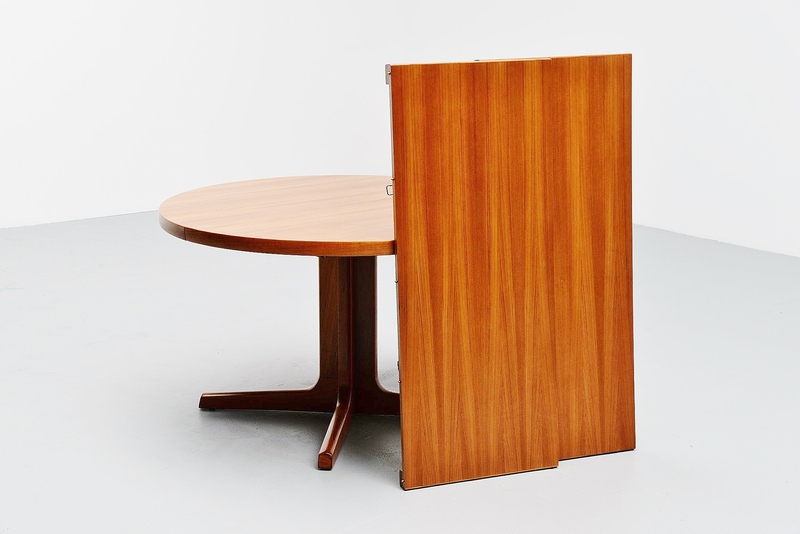 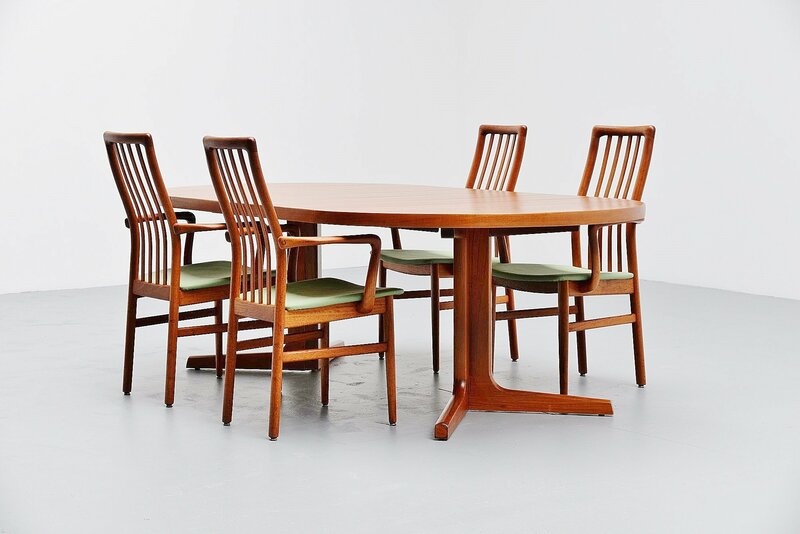 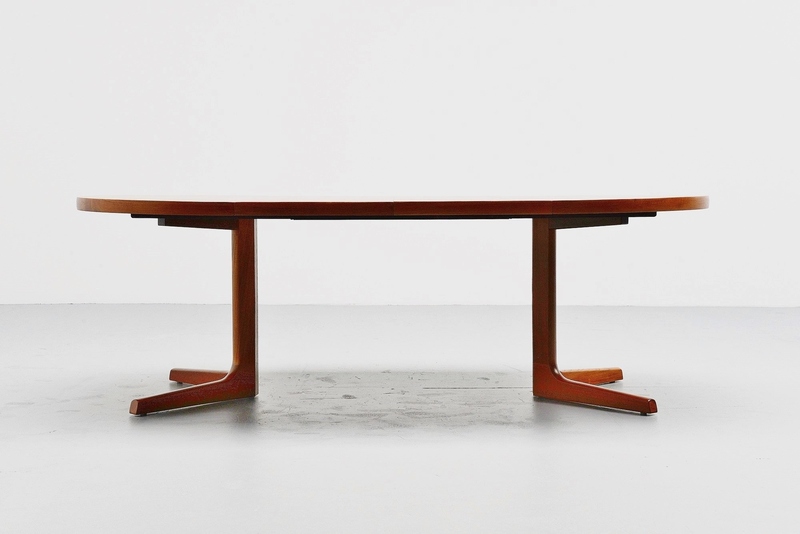 Very nicely made and shaped oval dining table manufactured by AM Mobler, Denmark 1960. 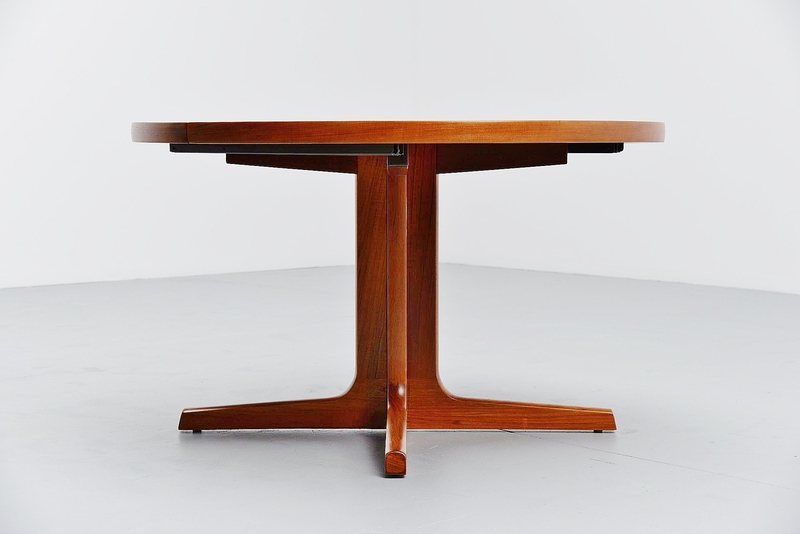 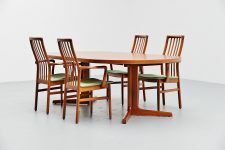 This extendable dining table is round with cross base, and has an extendable top from 121 cm wide to 171 cm wide to 221 cm wide. 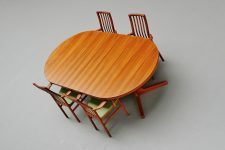 Easy to save space. Also very nice looking when fully extended. 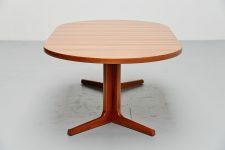 Marked on the bottom of the top, AM Made in Denmark.